Hello? Is anyone there? Please. Somebody. Just say something to me. Anything. Or else I may end up watching the following 97 minute movie made in 1974 on my own. It was Directed by Earl Bellamy; and it Starred: Dewey Martin, Aldo Ray, Anne Collings, with Dean Smith. For a dogs age you've been trying to persuade me to travel up west, Henry (Dewey Martin), so we and our beloved family can start a new life together over in Oregon. However, ever since I've conceded to your wishes, I've had a sinking feeling that God doesn't want us to do this. And do you wanna know why? No. Please don't answer my question for me, husband, because I believe I know the answer myself. For a start, this endeavour has gotten our youngest daughter injured because a wheel from our carriage rolled over her leg. Then it's gotten our oldest son John (Stewart Petersen) into trouble because he wasn't able to properly look after Doctor Dutch's (Aldo Ray) livestock. Plus to add insult to injury, during our travels it's gotten you stabbed because a pack of savage Indians have attacked us. But please, don't concern yourself with any of this, my much-loved Henry. You just concentrate on getting yourself better, you hear? Or else what next transpires will go from bad to worse when you say to me, 'I think it's too late for that, Naome (Anne Collings), as... as.... as...*iichhhk'. 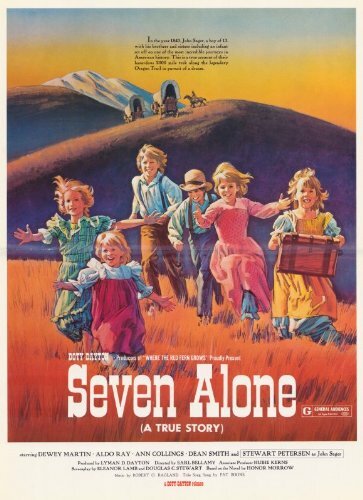 As a wife eventually joins her other half - seven lonely kids travel a dangerous and lonely path - strugglers survive thanks to the memory of Dad and Mom - and at the end of the day, look out Oregon, for here we come. Now if you're a parent and one of your children ever moans about the state of their Ipad, Iphone, or anything else they might possess with the letter 'I' in front of it -- No. Not igloo -- you just sit them down and make sure they watch 'Seven Alone', OK? Because if you ever do that, trust me, dear reader, they'd thank God they weren't born during an era 'technology' was a foreign word to the English language. You see, essentially this is one of those films where a frontier type family pit their wits against any obstacles that come their way, whilst trying their best to reach a so-called 'promised land' far off into the distance. What's more, I'd say from a structural point of view this story-line was easily divisible by two. With the first half of it setting-up the family in question, as well as defining their dynamics mid-way through it's telling. Where as the second half of the story focused on the remaining family members, and how they try to reach their ultimate goal in spite of whatever else they have to endure. Admittedly, where the acting is concerned I did prefer watching the first half of this adventure because those involved were much more mature in stature -- meaning, they could act -- and had a depth to their performances their younger counterparts couldn't seem to match. Whilst the second part of the tale, on the other hand, possessed a much more dangerous tone to it, plus it did give the younger actors some time to shine which they never seemed to have in the first half of this film. Also, if you're a lover of somber music and made for television production values, I think you'd like both the musicality and style which complements this flick. Not imply that there's any wrong with this of course. But in a round about way this piece aesthetically felt like a strange mixture of 'A Little House on the Prairie' meets 'The Defiant Ones', yet omitting any sort of racial edge by default. Anyway. That's enough of that for the time being, dear reader. But before I present you with my usual filmic-facts, something else I best mention is that after researching this true life tale, not a whole lot of it was really 'true', either. For example, the father didn't die of a wound he sustained in an Indian attack, yet he did die of 'typhus' in Wyoming. The mother was weakened by childbirth but died along the way in Idaho. One of the girls died during a measles epidemic which also wiped out half an Indian tribe. And because of this demise, the Indians blamed the people of the Whitman mission -- where the family stayed -- and killed two of the boys and then kidnapped and ransomed the rest of the girls. Ouch! Not a very nice thing to do, is it, film fans? Still. I suppose that's why the makers of this movie decided to lighten it up a bit. And to some extent, I suppose that's why I'm now going to present you with the following filmic-facts. Ha! 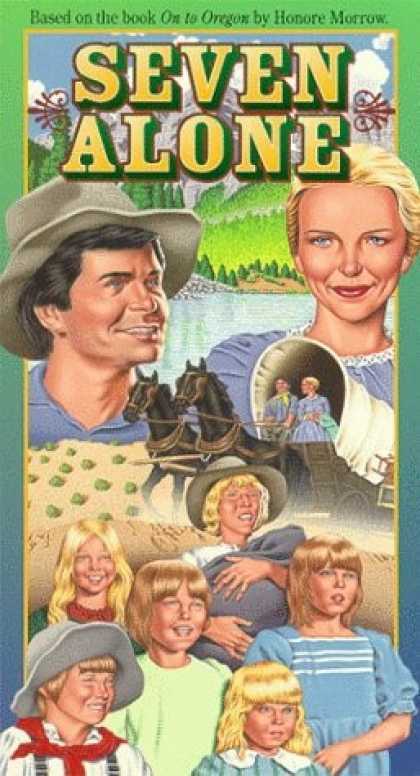 (1) 'Family Film Entertainment' first released this production in America on the exact same day George Harrison released his 'Dark Horse' album in the United Kingdom. It was on the 20th of December, 1974. (2) Loosely translated, this project was entitled 'Bravest Men' in Spain; 'Seven Hazards on the Prairie' in Finland; and it was once given the alternate title, 'House Without Windows'. (3) Earl Bellamy, who was the nice chap that directed this flick, is best known for directing such prime-time television shows as 'Fantasy Island', 'Hart To Hart', and 'Medical Centre'. (4) This adventure was limply based on a book written by the American author, Honore Morrow, who called it 'On To Oregon'. And yes, it was adapted from a true story. Very loosely adapted. (5) The majority of this movie was shot on location throughout the American state of Wyoming, most notably Cokeville and Fort Bridger. 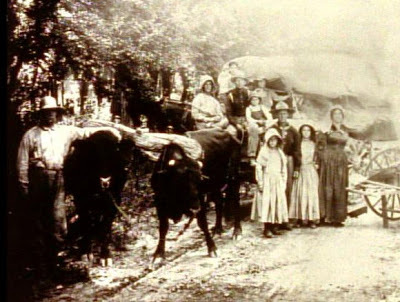 (6) In that scene where the settlers are shown walking beside their wagon train, you might notice that one of them is wearing a modern looking green and white horizontal stripped shirt. Ops! Cosmetic gaff. (7) From 1956 to 1958 the actor who played Hendry in this picture, Dewey Martin, was briefly married to the popular singer, Peggy Lee. 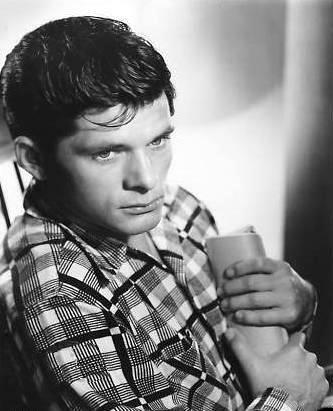 (8) After this flick fell asleep on the coach, Dewey Martin starred in the TV series, 'Joe Forrester'; Aldo Ray starred in the crime-drama, 'Promise Him Anything'; and Anne Collings starred in the adventure, 'Escape from Angola'. Overall I'd say 'Seven Alone' was a pretty decent film for all the family. Granted, it's more of a TV movie than a full on cinematic experience. Yet as push comes to shove I'd rather watch this well acted, well directed, and well structured story-line, than wasting my day away with something beginning with the letter 'I'. No. Not igloo. Nuff said.